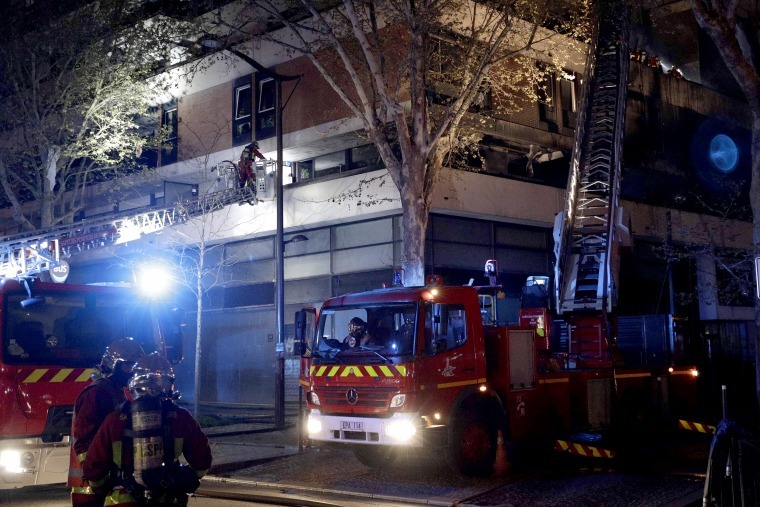 PARIS — A fast-moving fire has ravaged a residential building on the northern edge of Paris. Firefighters spokesman Gabriel Plus said there were no known victims in the Saturday night blaze that moved through four floors of the large, modern structure. Teams were searching for potential victims. The spokesman told BFMTV that it was too early to know the origin of the fire. He said it began on both the outside and inside of the building and raged through the third through sixth floors. The building has two elevator shafts, which typically can spread flames. Paris recorded its deadliest fire in a decade earlier this year, when a blaze in a posh western district killed 10 people in February. Arson was suspected.